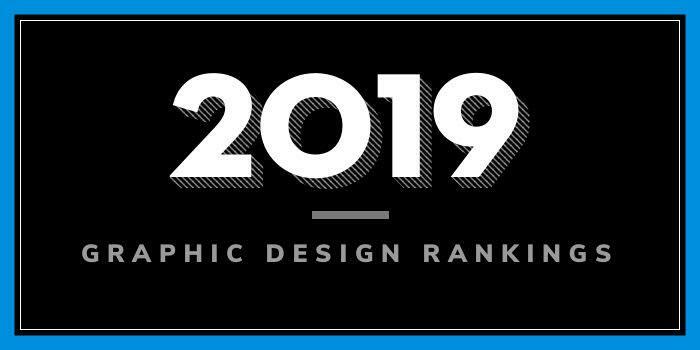 The 2019 rankings of the top 25 schools and colleges offering a Graphic Design Bachelor of Fine Arts (BFA) degree programs. For an explanation of the ranking criteria, click here. Founded in 1877, Rhode Island School of Design (RISD) is one of the first art and design schools in the U.S. This private art and design school serves approximately 2,480 students from across the U.S. and 57 other countries, enrolled in 32 graduate and undergraduate art and design programs leading to a BFA, MFA, five-year Professional Baccalaureate, or a Bachelor of Architecture. The junior year focuses on “conceptual thinking in areas such as communication theory, visual systems and information design forms” and during the senior year, “emphasis is placed on design applications, with a range of electives available to expose students to specific areas of graphic design practice.” Juniors and seniors also have opportunities to pursue professional internships over the summer or during the semester. Undergraduate programs for aspiring graphic designers include a BFA in Graphic Design with three Concentrations including Graphic Design Studio, Book Arts Studio, and Graphic Design + Humanistic Studies. The 120 credit hour BFA features a three-year sequence of core design courses. Sample courses include Systems & Time, Color & Design, Forms & Space, Drawing: Tradition & Innovation, Typography, Photoimaging, Flexible Design Studio, and Graphic Design I-IV. Students will also take 18 credit hours of studio electives and internship opportunities are also part of the program. Some companies who have hired MICA designers for jobs or internships include Abercrombie & Fitch, Cooper-Hewitt National Design Museum, Google, Kate Spade, Kennedy Center for the Performing Arts, Museum of Modern Art, National Public Radio and Under Armour. Founded in 1896, Parsons The New School for Design is home to nearly 5,500 students enrolled in 27 undergraduate, graduate, and associate degree programs. Parsons houses five schools, including the School of Art and Design History and Theory, the School of Art, Media, and Technology (AMT), the School of Constructed Environments, the School of Design Strategies, and the School of Fashion. The School of Art, Media, and Technology offers a BFA in Communication Design. Students begin the BFA with an intense focus on typography and interaction. Students will go on to complete courses, internships, and sponsored projects in editorial design, interaction design, branding, Web/mobile product design, type design, motion graphics, advertising design, and information design. Hands-on collaborative courses, “allow students to work directly with peers throughout the university — including students in programs housed at other schools within The New School — and with external partners,” says the school. “Parsons’ resources, including labs, libraries, galleries, and research institutes,” help support students’ ideas and projects. Graduates of the BFA program go on to pursue careers in interaction design, publication design, branding, advertising, motion graphics, information visualization, exhibition/retail design, environmental graphics, and many others. Per the School of Design, the Communications Design program is the “the only program in the country that recognizes and embodies the convergence and integration of Illustration, Advertising, and Graphic Design as the primary forces for the visual expression of ideas.” Students may Concentrate in any of three areas (Illustration, Advertising Art Direction, Graphic Design). Students will also have the opportunity to enroll on one of more than 20 study abroad programs and international exchange programs in over a dozen locations such as Florence, Milan, Copenhagen, London, and Tokyo. This undergraduate program for aspiring graphic designers leads to a BFA in Communications Design with a Graphic Design Emphasis. Offered through the Graphic Design Department (GX), the BFA in Graphic Design teaches students to develop design solutions by experimenting with a wide range of media—including books and digital magazines, packaging, 3D motion graphics, apps. Students will learn how to create “compelling graphic identities and branded experiences,” says the school. Students will also complete a variety of unique studios such as Advanced Transmedia, Advanced Print, Transdisciplinary, Advanced VxD Studio 8 and Advanced Motion. Internships and study abroad opportunities are also part of the program. Undergraduate offerings for aspiring graphic designers include a BFA in Graphic Design that consists of 72 credits of studio art courses, 30 credits in humanities & sciences, 12 in art history, and six elective credits. An internship is part of the program, as well as the opportunity to focus in Package Design, Editorial Design, Information Graphics, Corporate Identity, Publication Design, CD Packaging, Book Jacket Design, Environmental Design, or Website Design. California Institute of the Arts (CalArts) is the nation's first postsecondary institution to offer graduate and undergraduate degrees in both the Visual and Performing Arts. Established in 1961 by Walt and Roy Disney, the school is home to around 1,500 students enrolled in more than 70 programs across six schools including the Schools of Art, Critical Studies, Theater, and Film/Video, the Herb Alpert School of Music, and the Sharon Disney Lund School of Dance. The School of Art is home to the Graphic Design program, which leads to a BFA. In addition to core studio classes, all students are required to pass a Graduation Portfolio Review in order to complete the program and obtain the BFA degree. The program prepares students for careers in print and publication design, web and interface design, motion graphics for broadcast and film, branding, identity and type design, and design history and education. Founded in 1907, California College of the Arts (CCA) is home to more than 1,900 students from 52 countries and 45 states. The school offers 22 undergraduate and 12 graduate degree programs, plus two minors. The BFA programs in Graphic Design and Interaction Design offer the opportunity to immerse in the areas of Brand Identity, Print, Motion Graphics, and Screen-Based and Interactive Design. Elective offerings will “strengthen” students “design toolkit,” and all students will have the opportunity to gain real-world experience through CCA’s extensive internship program. Graduates of the BFA programs at CCA have landed positions at innovative design firms, museums, publishing houses, technology companies, nonprofits, and more. The School of the Art Institute of Chicago (SAIC) was founded in 1866 as the Chicago Academy of Design. It is one of the oldest accredited independent schools of art and design in the country. Home to 3,650 students enrolled in more than 25 programs, SAIC offers a BFA program with two major areas of focus including Physical Media (print, objects, and environments) and Virtual Media (interactive and time-based media). Program highlights include an active AIGA (American Institute of Graphic Arts) student chapter, Exploratory Languages (a lecture series featuring leading designers and design educators from across the country), and CIPB (Chicago International Poster Biennial), which is an international competition representing leading designers from throughout the world. Internship opportunities and the option to study abroad are other highlights. Founded in 1978, Savannah College of Art and Design (SCAD) is home to more than 14,000 students from all 50 states and more than 100 countries. The school offers more than 40 majors and 75 minors, as well as certificate and online programs. With campuses in Atlanta, Hong Kong, and Lacoste, France, SCAD has plenty of opportunities to study at domestic and international locations and it offers more graphic design programs than just about any other school on our list. Undergraduate options include BA and BFA degrees in Graphic Design. The BFA is offered in Atlanta, Hong Kong, Savannah, and online. Virginia Commonwealth University (VCU) was established in 1838. It is home to more than 31,000 students enrolled in more than 200 programs through 15 colleges and schools. The School of the Arts, which serves more than 3,000 students, offers 25 degree programs. An additional four programs are offered at VCU’s Qatar campus. The School of the Arts (VCUArts), Department of Graphic Design offers BFAs in Graphic Design and Communication Arts. BFA students will take courses in the areas of Publication and Print Design, Sequential and Motion Design, and Interaction Design, “along with a series of related Studio and Seminar courses.” Both BFA options prepare students to create effective visual communications. The University of Texas at Austin (UT Austin) was founded in 1881. The school opened its doors in 1883 with one building, eight professors, one proctor, and 221 students. Today, UT Austin is home to nearly 52,000 students enrolled in over 500 degree programs and fields of study across 18 colleges and schools. The College of Fine Arts, Department of Art and Art History offers a BFA in Design, and a BFA in Visual Studies. Students in both programs have the opportunity to complete an internship, which may include working at major companies with offices in the Austin area. Just a few include Google, Dell, IBM, Apple, Samsung, Frog, Pentagram, and EA Games. University of North Texas (UNT) was founded in 1890 as Texas Normal College and Teachers’ Training Institute. With 38,000 students enrolled, UNT is the fourth-largest university in Texas. The school offers 105 bachelor's, 88 master's and 37 doctoral degree programs across 11 colleges and schools. The College of Visual Arts & Design is home to the Design Department, which houses the Communication Design Program. Here, students can earn a BFA in Communication Design. The program covers the basic principles of design, image making, color theory and typography. It is also designed to “help students learn to be effective conceptual thinkers and, most importantly, creative problem solvers in the disciplines of Advertising and of Graphic Design.” Students will have the opportunity to complete an internship, study abroad, and access “valuable resources” consisting of over 1,000 reference books, magazines and paper/print samples of photography, illustration, typography, graphic design and advertising. Columbia College Chicago was founded in 1890 as the Columbia School of Oratory. The school offers a distinctive curriculum that blends creative and media arts, liberal arts, and business to nearly 7,000 students in more than 60 undergraduate and graduate degree programs. The school offers a BFA in Graphic Design that requires advanced courses in graphic design. Students in this degree track do not choose a concentration and take courses across disciplines including Web Design, Publication Design, and Visual Identity. Students in the program will have the opportunity to intern at firms such as Leo Burnett, one of the largest advertising agencies in the world, with clients like Procter & Gamble, Foote, Cone & Belding, a global advertising agency with clients around the world, Pivot Design, an award-winning branding, marketing, and advertising agency, Pressley Johnson Design, one of the premiere design communications firms in the Midwest, and 50000feet Creative Agency, a firm that has worked with some of the top brands in the U.S. Founded in 1829, Rochester Institute of Technology (RIT) serves more than 19,000 across nine colleges emphasizing career education and experiential learning. The school, which has global locations in China, Croatia, Dubai, and Kosovo, offers a BFA in Graphic Design. Kent State University (KSU or Kent State) was founded in 1910 and it is home to more than 38,000 students (in an 8-campus system) enrolled in more than 300 degree programs across dozens of colleges and schools. The College of Communication and Information, School of Visual Communication Design, offers a BFA in Visual Communication Design. All School of Visual Communication Design students must complete 300 hours of internship before graduation. Most internships are paid, and students have the opportunity to work at major companies across Cleveland and in Chicago, San Francisco and New York. Established in 1867 as Illinois Industrial University, University of Illinois at Urbana – Champaign is one of the original 37 public land-grant institutions created after President Abraham Lincoln signed the Morrill Act. The school serves nearly 48,000 students through 15 colleges and instructional units. The College of Fine and Applied Arts, School of Art and Design offers a 122 credit hour Graphic Design program that leads to a BFA. Students also have the opportunity to refine their degree by choosing from an interdisciplinary selection of elective courses including advanced interaction design, photography, traditional printmaking, sustainability, and video, and the design of Ninth Letter, a nationally-distributed and award-winning literary arts journal. Otis College of Art and Design (OTIS) was established in 1918 by General Harrison Gray Otis-- founder and publisher of the Los Angeles Times. Home to 1,100 BFA and MFA students, OTIS offers more than a dozen interdisciplinary art and design programs from Animation and Motion Design to Illustration and Graphic Design. Specific programs for aspiring graphic designers are offered through the Communication Arts Department. Options include BFA degrees in Graphic Design and Communication Arts with an Emphasis in Graphic Design or Illustration. Minneapolis College of Art and Design (MCAD) was established in 1886. The school serves 800 students enrolled in Design (50% of the student body), Media Arts (38%), 10% in Fine Arts, and the remaining 2% in MCAD’s new Arts Entrepreneurship Department. More than 20 programs are available across several departments, including a BFA in Graphic Design. Other program highlights include the opportunity to gain practical, real-world experience through a required internship and the option to study abroad or elsewhere in the U.S.